Suit up your WordPress blog! 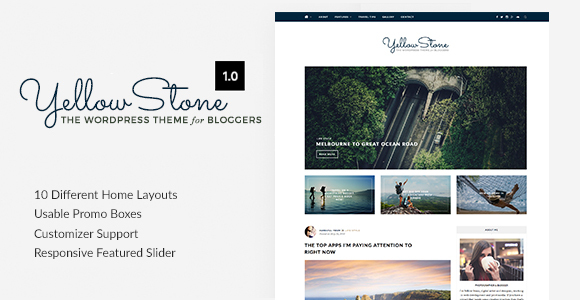 Focussed on design that highlights your content, YellowStone is a specially made WordPress theme. Perfect fit for Personal, Travel & Lifestyle blog. You can have 10 predefined homepage layouts to choose from. Start your own blog with just few clicks - No Coding Required! VIEW LIVE DEMO Get the Theme! We're always trying to make better web templates for you and we'd love to hear about your experience. Please take 2 minutes to help us improve your experience by completing a short survey. Your response matters to us.